What does inseam mean? How should you use it to choose petite pants? Home Must Know What Does Inseam Mean? What does inseam mean? And why is it useful for you to understand it? You probably have heard of the term inseam many times, but may not know (or care) what exactly it means or why it matters. 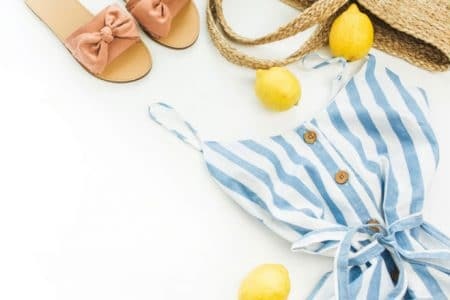 If you always shop at petite departments anyways, you may be thinking “well, if they are petite size, they are supposed to fit petite women.” Therefore, you don’t need to worry about measuring or knowing “what does inseam mean”. I don’t blame you, as I used to think that is a concept only tailors need to grasp, until I kept returning petite size jeans from some popular petite designers because they were still too long for me. That is when I started to pay attention to what inseam means. Inseam is the length of the inner leg, from the top of the thigh to the ankle. To find out your exact inseam length, you should pick out an existing pair of pants or jeans that fit you well and take the measurement, while laying it in bed or on the floor or any flat surface. You should stretch the tape down the pants till you reach the bottom of the inside of one leg, where it touches the ground. The measurement from the crotch of the pants to the hem is your inseam length. So, what does inseam mean for petite women? Petite-size pants have inseam up to 2 inches shorter than regular women’s sizes. Most petite women need to wear shorter inseam, but there are also petite girls blessed with longer legs, even though they are under 5’4’’. Is there a standard inseam for petite sizes? The answer varies. Some department stores, like Kohl’s, have standard petite inseam of 29 inches. Many popular designers do not specify inseam in their sizing chart, because their pants or jeans inseam vary by style. Not all petite brands are created equally. Some petite designers have longer inseam than others, which is why knowing about their inseam before you purchase is so important. 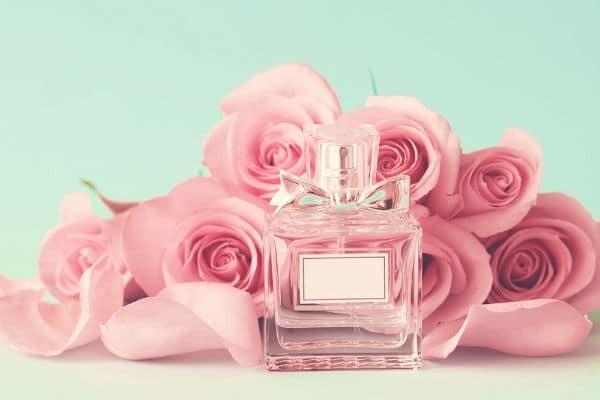 There are also designers who do not offer a complete petite line (such as Madewell or American Eagle Outfitters), but they have certain styles short enough that they will fit petite girls. Click on Do You Understand Petite Size Chart to read about the differences of inseam by major petite brands or retailers. You might be wondering if your inseam is fixed, just like your bra size. That is only true to a degree, as the answer largely depends on what style of pants you are looking for. Pants have different rises and leg length. In general, high rise or high-waisted style are more flattering to petite women, as they elongate your legs. The rise of the pants, however, should not affect your choice of inseam. Whether you are wearing high rise jeans or low rise jeans, your inseam might be the same. Now, what does inseam mean specifically for you to choose the right length? First, the style of the pants or jeans you are looking for is very important. 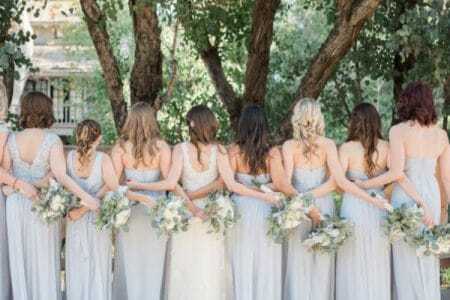 Are you looking for a full length look or a cropped look? If you are looking to get a pair of tailor pants, it probably makes sense to go with full length, i.e. the hem of your pants might need to be closer to the ground. In that case, you may want to add one inch or so to your regular inseam. On the other hand, if you like the look of cropped pants, then you might even subtract one or half inch of your regular inseam in order for your hem to end right around your ankle. In addition, the height of your heels also matter. If you are mostly wearing high heels, then your inseam could be half inch or one inch longer than when you wear flats. In the last decade, as all the department stores have either axed out or cut down significantly their petite department stores, it has been frustrating for petite women to find the petite sizing that fits them properly, especially the bottoms with the correct length. Some petite girls have turned to regular size department to look for cropped pants and wear them as regular length pants. This may work for some, but not all. For someone who needs inseam shorter than 26 inches, even cropped pants for regular size might be too long for them and needs tailoring. Now, innovative shops such as Petite Dressing have realize the pain of petite women shopping for pants and offer petite jeans and leggings with inseam starting from 25.5 inches. Many of us are used to online shopping, especially for us petite women, because choices in local stores are so limited. Most designers or stores specify inseam of their pants or jeans next to the product, even though not mentioned in their sizing chart. 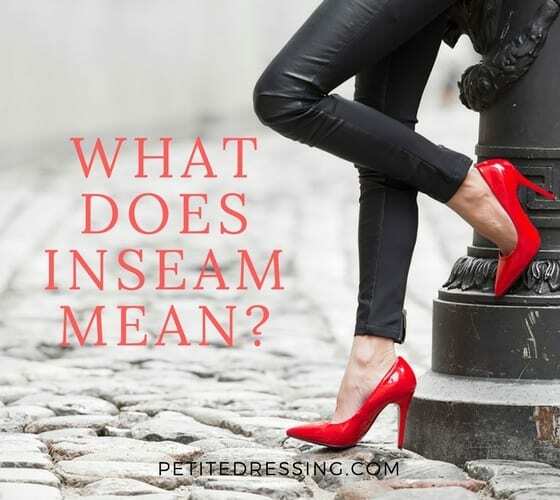 We talked about “what does inseam mean” so that you can make a more educated and informed decision next time when you order online.